The Apartamentos Lema are located on the south of Mallorca, surrounded by extensive beaches of fine white sand. An ideal place for lovers of nature and sport. Near the fishing harbor and the jetties from where the boat departures to the beautiful island of Cabrera. We have the necessary installations for you to enjoy your holiday to its full: cafeteria, free internet access point, 24-hour reception service, beach towel service (with charge), car and bicycle rental service. In our restaurant you can enjoy a full and healthy breakfast. .In the evening, , from 19:00 pm, a magnificent dinner prepared by our chef is ready to delight our clients, and once a week there is a presentation of wine and fantastic oils made in Mallorca. Our apartments guarantee maximum comfort. 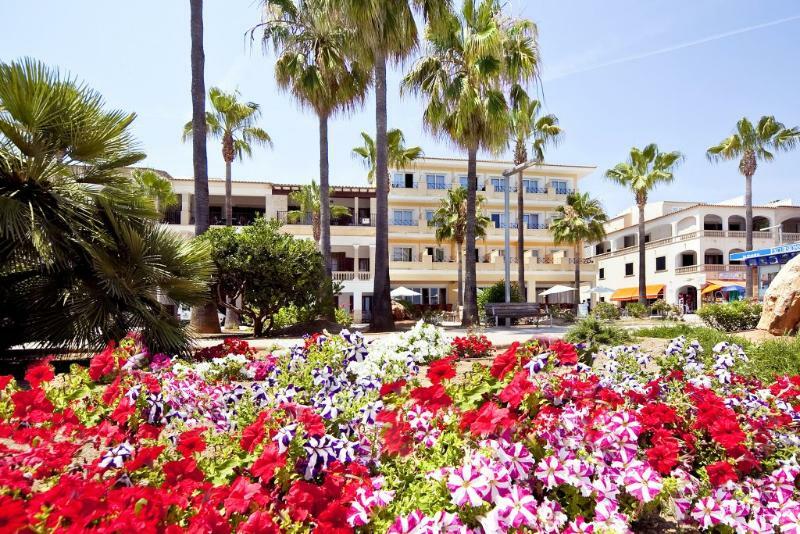 Located within easy reach of the beach, a 5 minute walk from the public bus stops, 10 minutes from the centre of Colonia de Sant Jordi and 45 minutes drive from the airport (PMI).